Bali is arguably one of the several havens for divers in the world. 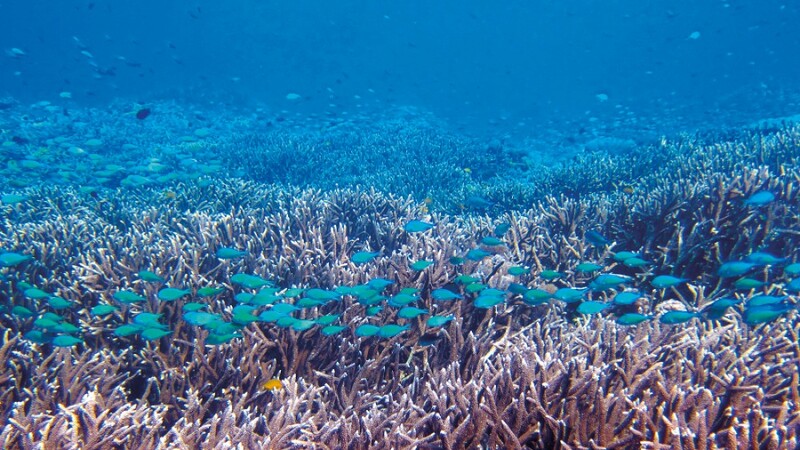 The Indonesian Throughflow, the flow of ocean water from the Pacific to the Indian Ocean, benefits marine life in the Bali seas from north to south blessing them with an abundance of nutrition and perfect conditions for life. One of most popular dive areas in Bali is Nusa Penida. Thousands of scuba addicts visit the area every year, but the peak season is from mid-year to September. The upwelling phenomena that changes the sea temperature, sometimes causing temperature drops of up to 17 degrees Celsius, is a welcome occurrence that brings out the cute, yet gigantic, Ocean Sunfish. Sometimes known as Mola Mola, sightings of these flat round fish in Nusa Penida are very high from June to September. That is the main reason why bubbles fill the waters in the area during those particular months. However, Nusa Penida is still charming without the appearance of the Ocean Sunfish. Dive sites line up from the south to the north of the island, offering various spectacular underwater scenes. To the north of Nusa Penida there are perfect sites for those who are drift dive certified to get the sensation of drifting over colourful coral reefs lining along and passing through schools of fish swimming against the current. While in the south, the big boys on the map are Crystal Bay and Manta Point. Crystal Bay is named after its crystal clear water. The coral reef covers the seascape of the bay and stretches to the other corner of the bay, which leads to a wall dropping down to the deep blue. 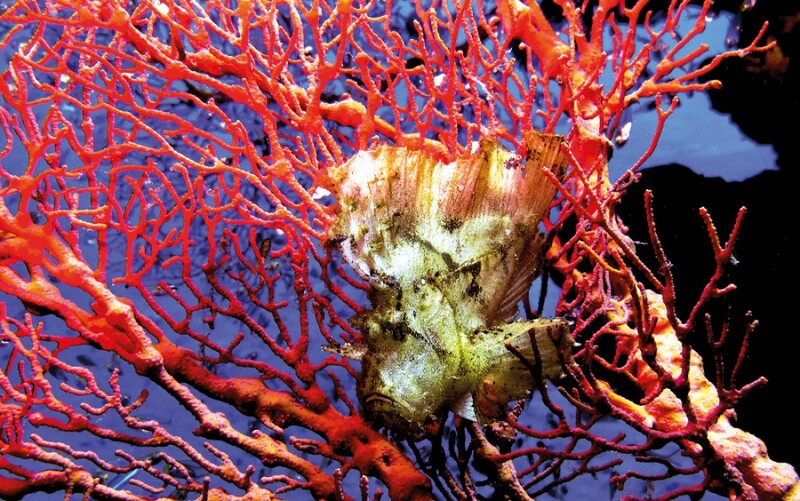 Of course, divers can expect to see a plethora of fish, a variety of coral reefs, and sometimes one can spot Wobegong or turtles. Those who are mad about micro life are guaranteed to see some unique critters around the bay. And of course, just by looking at the name, Manta Point, it is obvious that diver should expect to see Manta Rays during the dive. Manta Point is known as the feeding station for the Mantas. 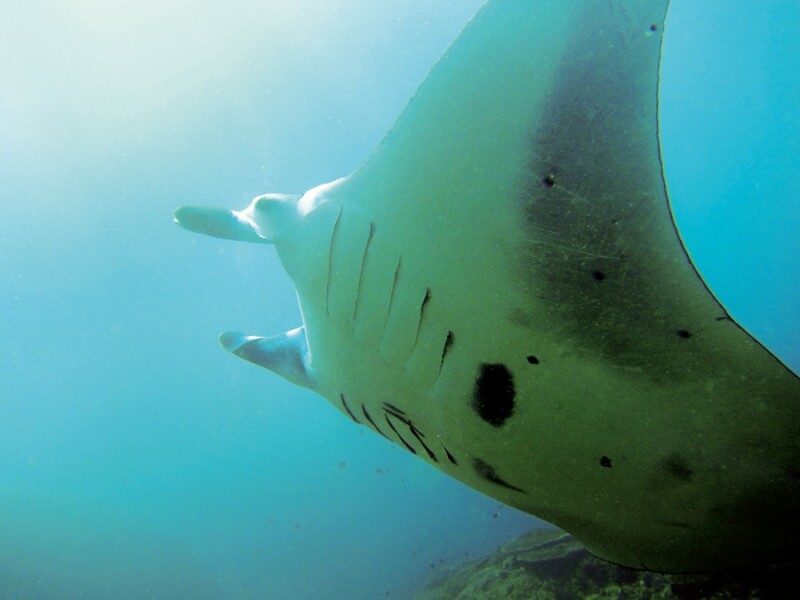 Thus the visibility is generally poor because the water is frequently teeming with plankton and other small organism that suit the Manta’s diet. If you get seasick easily, better get your dive gear ready before reaching Manta Point as the water in the area is choppy. Thus, quick entry into the water can be made as soon as you arrive to avoid seasickness. Nusa Ceningan is the biggest compared to the neighbouring island of Nusa Lembongan. 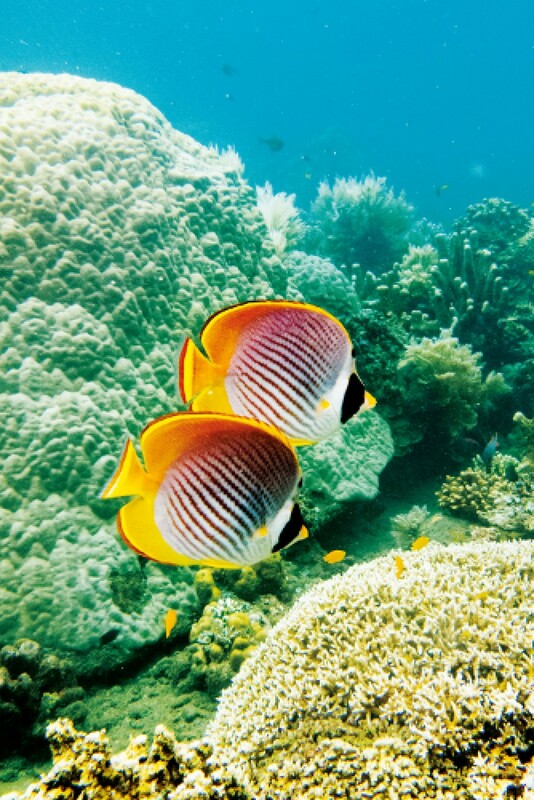 These two islands are also interesting destinations for scuba divers. Diving in the area within these three beautiful islands, divers can expect to be caught in currents ranging from mild to strong or even the most “hated” by divers – the down current. No wonder that some dive sites in the area are not recommended for novice divers. If you are a novice diver or one with very little experience, you will want to avoid diving in Blue Corner. That said, it is still a magical dive site with the extravagant attraction of large pelagic (Shark, tuna, marble ray) spurred by the existence of wild current.